NSC Creative requires a 3D Animator with a well-rounded knowledge of all areas of animation, not just character work, to join our growing Leicester team. The successful candidate must be able to demonstrate that they understand the principles of animation to a high level. Projects will range from Fulldome, VR, Stereoscopic 3D, Theme Park Attractions and Flat Screen HD. NSC Creative is looking for a CG Artist with a well-rounded knowledge of 3D to join our growing Leicester team. The successful candidate will have an extensive knowledge of the CG pipeline and be comfortable with all aspects of 3D from modelling and animation to lighting and rendering. Projects will range from Fulldome, VR, Stereoscopic 3D, Theme Park Attractions and Flat Screen HD. NSC Creative is looking for a Junior CG Artist with enthusiasm and a hands-on attitude to join our growing Leicester team. You will have a solid foundation in the CG pipeline and be comfortable with all aspects of 3D from modelling and animation to lighting and rendering. Projects will range from Fulldome, VR, Stereoscopic 3D, Theme Park Attractions and Flat Screen HD. All position require to work on-site, Leicester, UK; 37.5 hours a week; salary is dependent on experience. Applicants MUST be eligible to work in the UK. Closing date: 12 pm Tuesday 6 November 2018. Interviews will be held on 13 November 2018. Start date ASAP. NSC Creative is an award-winning UK studio with over 18 years of experience in immersive media. 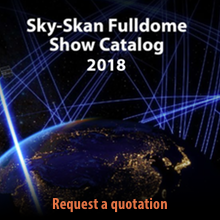 We specialise in immersive experiences for VR, domes, theme parks, attractions and museums. The Besser Museum for Northeast Michigan has a new job opening for a position of a regular, full-time, Planetarium Director. 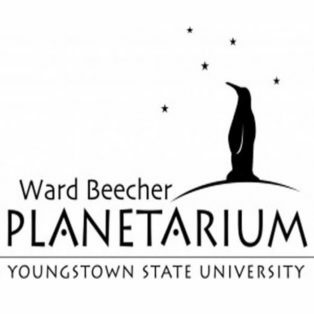 The Ward Beecher Planetarium (YSU) seeks a Digital Content Designer to produce new media for the immersive environment of a fulldome digital planetarium. 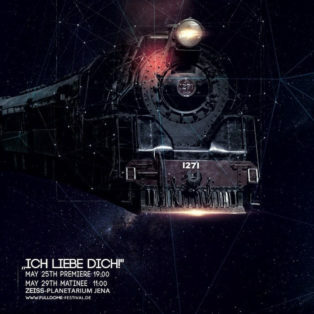 “Ich liebe Dich!” is a fulldome play designed and staged by independent artists and students of Bauhaus-Universität Weimar under the direction of Prof. Micky Remann.